Analytical chemistry is an essential and fast-developing field of chemical research because it holds the key to the techniques and instruments used in the detection, isolation, characterization and purification of every chemical used in science. While almost every area of analytical chemistry is rapidly moving forward, a few choice developments are highlighted below. This is becoming extremely challenging with the emergence of novel methods and techniques to produce customized proteins, nucleic acids and carbohydrates for a host of applications. These include diagnostic tests, ligand discovery and the ability to test a large volume of material for an analyte of interest. These methods are based upon the existence of highly specific reactions which allow the conjugation of biopolymer molecules to ligands, labeling isotopes or dyes, surfaces and so on. Knowing which ligands bind to which molecule is crucial in light of the specificity of these interactions. Currently study is going on regarding the detection of ligand binding using synthetic small molecules conjugated with the biomolecules which bind the ligand. These small molecules act as probes, and can increase the output of ligand screening assays immensely. DNA and protein microarrays are being studied for ligand binding in just this way. Again, conjugating biomolecules with small probe molecules can pave the way for various biochemical analytical tests, which are less cumbersome and much faster than traditional testing techniques. These can help improve and speed up the diagnosis of various clinical conditions at an earlier stage. 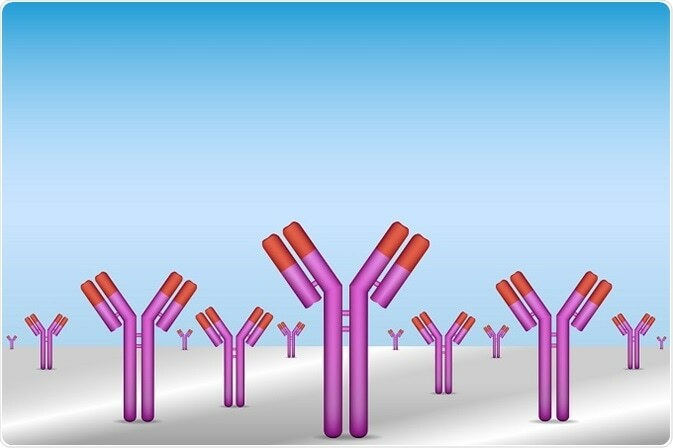 The use of antibody-conjugated methods offers high specificity and sensitivity without the need for purification of the sample, as well as being adaptable to almost any analyte. Small molecules appended to biomolecules can serve as probes for rigorous biochemical analyses. The limitations of conventional chemical and chromatographic methods have spurred greater research into organic chemistry to evolve still better testing and labeling techniques. For instance, time and labor are often required in excess to achieve many specialized tests. 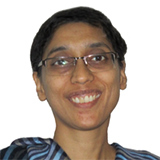 This can be circumvented by the use of biosensors which can rapidly and repeatedly detect the analyte of interest without requiring an elaborate and costly laboratory setup. These usually comprise a biomolecule firmly conjugated to a surface, which undergoes an enzymatic reaction following analyte binding, resulting in a clear signal of detection. Diagnosis of many conditions cannot be done outside the living body, and these require methods such as radioisotope imaging or magnetic resonance imaging (MRI). The latter is often enhanced using contrast agents such as gadolinium complexes to which antibodies are conjugated, allowing them to target specific organs or tissues in the body and improve imaging quality and reliability. Iodine isotopes such as 123I or 131I are commonly used radionuclides which can be bound to proteins using tyrosine-iodine binding with ease, helping to achieve in vivo imaging of many sites. Because it also detaches from the tyrosine residues inside the body, leading to prolonged radioactivity exposure, other radionuclides are being tested, such as 99mTc which can bind to EDTA, a chelating agent which in turn attaches to protein molecules. Another area in which protein conjugation has proved its worth is in positron emission tomography (PET) which is extensively used in brain and cancer imaging. The best type of linkage for such conjugation often depends primarily on the application. Various linkages may be introduced, such as amide or thioether linkages, or the double bond between carbon and nitrogen. The choice is based on how quickly the conjugation occurs in the body, and how stable it is after formation, which will determine how long its utility will remain. Mass spectrometry is one of the most extensively used analytical methods in chemistry as well as in many other areas. It relies on the separation of ions based on their different molecular weights, and therefore being able to achieve reliable and complete ionization is crucial to the whole process. Various methods are being refined to attain this target, including nanophotonic ionization for imaging a single cell, electrospray ionization with its many variants, microwave-induced plasma desorption and ionization, and fast surface wave matrix assisted laser desorption mass spectrometry. Collection and processing of samples is another very basic but neglected area which is now undergoing stringent review in the field of pesticide analysis, to ensure reproducibility and comparability of test results. It is necessary that the sample should actually be representative of the whole to render a meaningful and accurate result. Other exciting areas of research include modular hybridization probes to detect complex nucleic acid molecules, and refinements in the discovery of protein structure with NMR.